I've always enjoyed this old-fashioned flower that stirs up memories from my childhood. One of my earliest memories is of my mom and grandma taking my younger brother and I to the local greenhouse. We each came home with a geranium - my brother's was red, mine was pink. 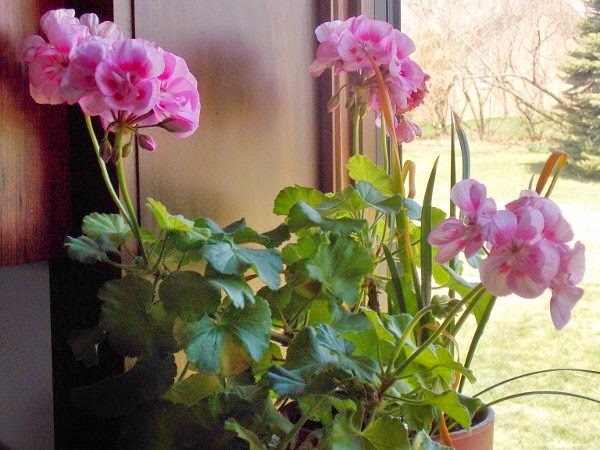 Last fall I brought several geraniums inside to overwinter in the house. It was nice to see something growing on my windowsills through the long, cold winter that we had this year. It will most likely soon be on the drawing board as a new botanical drawing. I'm in the mood for something pink!